Easily one of my favorite things to do is grouse hunt. In my opinion there just simply isn’t a better way to clear your head and just let your feet do the work. That isn’t to say that it’s a cakewalk though. At times it’s definitely tough as hell. But if there is anything I learned from my dad (who I consider to be one of the most knowledgable grouse hunters in the midwest) about how to hunt ruffed grouse, it’s that the battle out there in the woods is what makes it all worthwhile. In order to figure out how to hunt ruffed grouse, you need to focus on a few key things. In my opinion, most hunters simply don’t put enough emphasis on finding the right areas to hunt. They stick to the roads & wait to randomly bump one, or they only hunt areas that they’re familiar with. That’s fine, but if you aren’t always looking for new spots to hunt you’re going to be struggling to find something to shoot at after a few years. Good grouse habitat is always changing, and what was great a few years ago might now be too mature to hold good numbers of grouse. 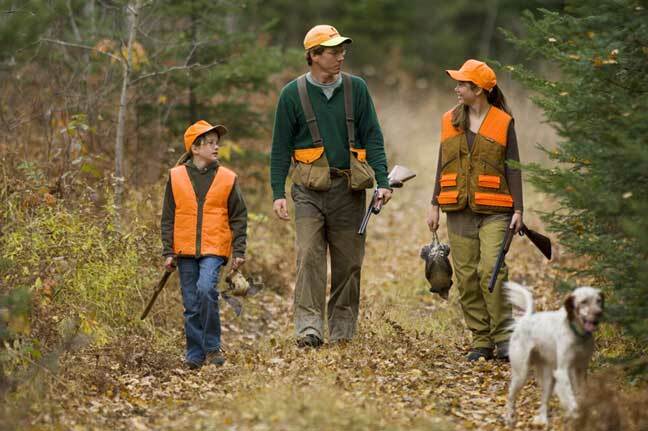 If you’re serious about figuring out how to hunt ruffed grouse, you’re going to want to treat it the same way you would deer hunting. Get into the woods before the season and scout for new spots. If a spot doesn’t quite have the right ruffed grouse habitat but looks like it could be promising in a few years, make sure you mark it on a map and check on it every year or two. What was once a weak spot may have grown into a ruffed grouse paradise. Another thing to keep in mind is that grouse are going to be in different kinds of cover throughout the day. Similar to deer, grouse have areas they’ll spend each night as well as typically feeding areas. Pinpointing where they are throughout the day is huge. What can be a terrible spot mid-day might be a great spot in the early mornings or afternoons. I may make a few generalizations when it comes to talking about how to hunt ruffed grouse, but one thing you’ll never hear me say is that grouse hunting is easy. Ruffed grouse live in some of the most brutal, unforgiving terrain that I’ve come across. You’re going to need to be in shape, and you’re going to have to be nimble enough to weave through cover. One thing is for absolute certain – when it comes to grouse hunting there are definitely not any straight lines! One of the most challenging things about ruffed grouse hunting is that not only do you need to work your way through that tough grouse habitat, but you also need to get a quality shot off. A lot of hunters simply try to react once the moment happens, but there are so many things you can do before that bird flushes – even if you’re not expecting it. Whether it be your gear – from making sure you’re choosing the right gun, to picking the right shot size, to your choke selection. Or simply always working your way through cover into positions where you actually have a chance at a shot. Being prepared enough to get a quality shot off when the time comes is definitely no coincidence. When you do finally get into position & flush the grouse it’s time for everything to come together. This is going to vary a bit depending on where you’re hunting but you’re typically going to have 2-4 seconds to flush the grouse, get your gun up, and get a shot off. Pair that with the fact that on that 4th second it’s likely just a hope-and-a-prayer kind of shot, and you’re going to have to react quickly. By now you should be noticing this theme, but this is again where preparation pays off. Don’t go all offseason without shooting your shotgun and then expect to knock every grouse down. Go out and shoot some sporting clays & practice different shots during the offseason to make sure you’re polished up & ready to go.